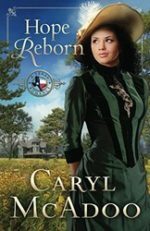 New York dime novelist May Meriwether decides a heroic Texas Ranger will make a great love interest for her new heroine. Bored to tears and loving adventure, she sets out to the Lone Star State with her constant companion and confidant Chester in tow. Dreams for a husband and children are relegated to the recesses of her heart, the self-confessed old maid deems it too late. But the near-perfect widower resurrects a smidgen of hope. 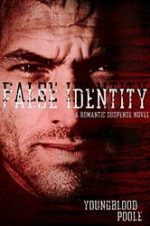 New release from Taylor Hart. The girl he’s loved forever. The summer he can’t forget. What would you do if you could change the past? 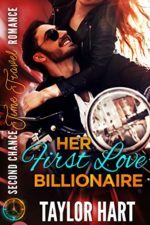 Damon Duke, the kid from the wrong side of the tracks turned billionaire extraordinaire, thought the girl he’d fallen for that summer, ten years ago, had been lost to him forever. When he sees her being proposed to at a charity auction, he can’t believe the woman he’s loved…has finally been brought back into his life. 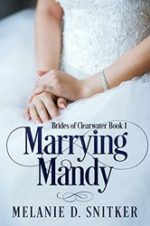 The beautiful and talented, Madison Knight, doesn’t want to accept such a public proposal, but she feels trapped because the man has helped keep her mother alive under dire circumstances. Prepared to be awed by our God. The books of Hosea, Joel, Jonah, Nahum, Habakkuk, and Malachi are viewed by Biblical scholars as the Minor Prophets. 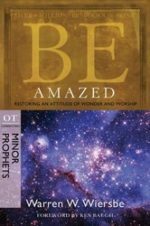 Yet the insights and messages contained within these books are anything but minor. These prophets offer a unique, firsthand view of an all-powerful God who longs to intimately connect with His people. This study examines their personal stories to discover how He interacts with our world in truly amazing ways. In The Day the Revolution Began, N. T. Wright once again challenges commonly held Christian beliefs as he did in his acclaimed Surprised by Hope. 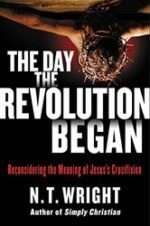 Demonstrating the rigorous intellect and breathtaking knowledge that have long defined his work, Wright argues that Jesus’ death on the cross was not only to absolve us of our sins; it was actually the beginning of a revolution commissioning the Christian faithful to a new vocation—a royal priesthood responsible for restoring and reconciling all of God’s creation. Believe in miracles … believe in hope … believe in love. It’s Christmastime, and Chancy Hamilton can’t bear the thought of spending the holidays without her late husband Max who died in a plane crash. When Chancy and her teenage son, Travis, have an argument, Travis storms out of the house and ends up in the wrong part of town where he is attacked by a group of thugs. When a homeless man comes to his rescue, he invites the man home to have a meal with his mom and little sister. When the young gather to sing, it’s usually an evening of wholesome fun – but this time, the event has stirred whispers of scandal. Elsie Hostetler and her sweetheart, Dathan Bender, never came home afterward. There’s not even a trace of their horse and wagon, leading some to suspect that they’ve run off to marry and join the Englisch world. 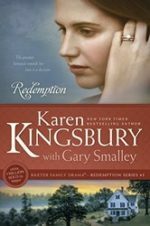 But Rachel fears there’s more to the story than a rebellious elopement. 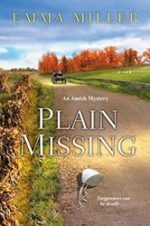 Her fiancé, a state trooper, is out of town, so she starts investigating herself, using her Amish background to pry information from the tight-lipped community. What Would Your Life be Like if Anything Were Possible? 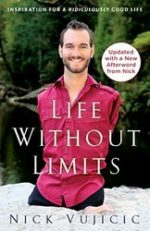 Born without arms or legs, Nick Vujicic overcame his disabilities to live an independent, rich, fulfilling, and “ridiculously good” life while serving as a role model for anyone seeking true happiness. Now an internationally successful motivational speaker, Nick eagerly spreads his message: the most important goal is to find your life’s purpose and to never give up, despite whatever difficulties or seemingly impossible odds stand in your way.